It’s easy to lose yourself at Crown Spa Perth. Designed by Blainey North, the sumptuous oasis is tucked away within the lavish Crown Towers Perth, adding an elegant touch to the already over-the-top destination hotel. Within its walls of refracted light, the spa is inspired by a traditional Roman bathhouse design. Based on the ancient philosophy of caring for yourself holistically, the treatments here feature luxurious La Prairie and Subtle Energy products. 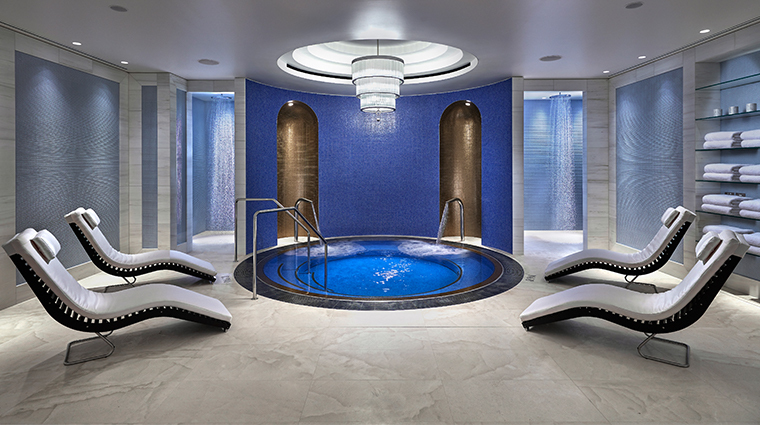 Heat and water pre-treatment experiences in the Aqua Retreat include the vitality pool, steam, sauna and relaxation lounge — a delicious preview of the indulgence that’s about to unfold. Even if you’re not staying in one of the hotel’s suites or villas, Crown Spa Perth promises a luxurious escape. Structured around a central axis, the Perth spa was designed in a series of circular vestibules and curved ceilings to create a comforting cocoon-like environment. Fluid in flow and generous in space, treatment rooms promise both seclusion and connectivity. The serene spa achieves an ephemeral effect thanks to carefully curated materials chosen because they emulate the refraction of light that occurs while underwater and looking toward the sun. The opulence is all-encompassing at Crown Spa Perth, from the vitality pool tiled in gold and platinum tiles to the marble showers, bespoke furnishings and water-themed images shot by Australian photographers. Bespoke treatments span from signature massages to the newly launched journeys that elevate the holistic experience to include offerings such as meditation and sleep therapy. The Aqua Retreat provides an indulgent way to begin your spa day. The optimally heated vitality pool is designed to invigorate the senses and stimulate the circulation, while the dimly lit relaxation lounge is set to a cooler temperature to calm the body and mind in preparation for your treatment. 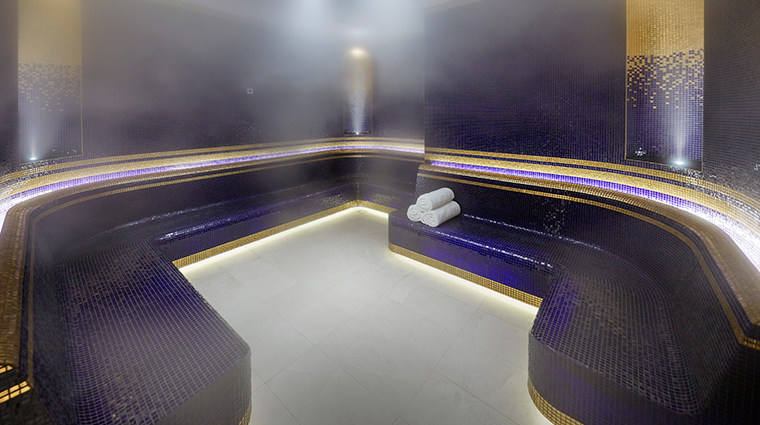 Extend the sensory journey by arriving 45 minutes early to enjoy the Aqua Retreat, which includes the vitality pool, hamman-style steam room and relaxation lounge. Crown Spa Perth is open daily, and reservations are essential, particularly over weekends and public holidays. For treatments longer than 60 minutes, valet parking is complimentary. Tranquillity and relaxation are paramount, and out of respect for the other guests, a disconnect from technology is encouraged with the prohibition of mobile phones. Featuring the ultra-luxe La Prairie skincare line, facials are simply a must. Try the Caviar Lift or Platinum Rare Facial for an extra-indulgent touch. The Australian brand Subtle Energies draws on aromatherapy and authentic Ayurveda principles in the creation of its products and treatment delivery. The 90-minute Blissful Marma Massage, for example, not only relaxes tight muscles, it also releases stress and reduces anxiety. Body treatments like the Rasayana Detox Body Wrap utilize fragrant Subtle Energies products. The service starts with an exfoliation — using a zesty combination of essential oils, cinnamon powder and walnut shells, followed by a hydrating mask of rich clay infused with spiked ginger lily, spirulina and green tea that will leave your skin glowing and your mind revitalized. Finish off your day of beauty with a stop by the salon, where treatments include manicures, pedicures, waxing, spray tans, hair services and makeup application. 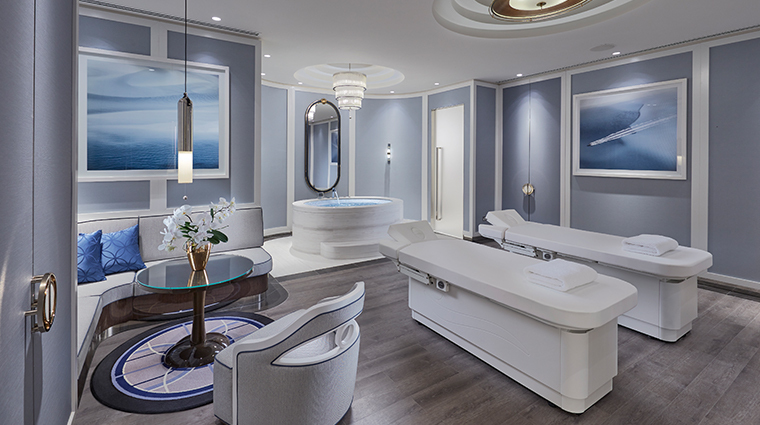 Spanning nearly 14,000 square feet, the luxury spa boasts12 well-appointed treatment rooms adorned in aqua-hued tones and custom-made furnishings. The giant image of an agate stone by renowned Italian artist Alex Turco in the reception area is a theme that is carried through to the treatment rooms. Even though your eyes might be closed for much of the treatment, you’re still very much aware that you’re enveloped in luxury within the temperature-controlled rooms with their subtle scents and oversized massage beds.